If you’re looking for a company that supplies the most expert services for commercial roofing Poole has to offer, look no further than ProRoofing. Our skilled roofers have years of experience in providing roofing services for all manner of commercial buildings, including offices and retail units. Read on to find out more about our services. Why do you require our Poole commercial roofing services? Here at ProRoofing, we understand how important your Poole commercial roofing is to the day to day function of your business. Many people take their roof for granted, but when your property is susceptible to leakages and prone to damp issues, your business and colleagues will soon start to suffer. With that the case, whether you’re planning on building a new business premises from scratch, or you’ve bought an older building that you’re planning on converting into offices, you can rely on our commercial roofing in Poole team for an expert service and a roof that you can depend on. Find out more about our commercial roofing Poole services below. We’re more than happy to cooperate with architects and construction companies that are working on other aspects of your build in order to achieve a roof that encompasses the appearance that you want for your business. All commercial roofing in Poole that we supply is carried out using the highest quality materials and built to strict building rules and regulations. Our skilled team are dedicated to ensuring that each measurement is recorded to the most accurate point, so we never fail to deliver the most reliable commercial roofing Poole has seen. 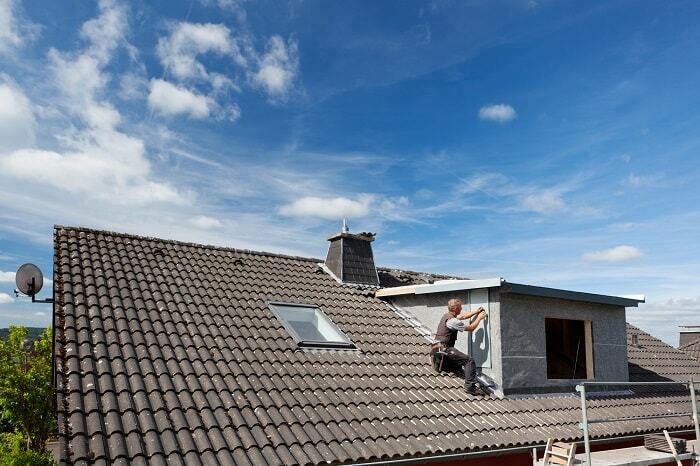 You can rely on ProRoofing to provide the best Poole commercial roofing maintenance and repair service. To ensure that your property’s structure is adhering to commercial building standards, regular maintenance visits to check the condition of your roof are required. In the case of adverse weather damage, we have an emergency commercial roofing Poole repair service, which is available 24 hours a day. We also undertake roof refurbishment and repair on behalf of insurance companies. Why should you choose ProRoofing? We have been providing the best services for commercial roofing Poole has to offer for over 30 years. In that time, we have built ourselves an incredible reputation, and we’re now the go-to company for domestic, commercial and industrial roofing. We combine our expertise and skill with excellent customer service to ensure our clients encounter a fantastic all round experience that will see them coming back to us for all of the commercial roofing Poole needs. All of our roofers go through extensive skills and health and safety training before they’re allowed to work on a project. Knowing that we only allow the most proficient workers to carry out our roofing services, we can closely monitor all work carried out to ensure that our high standards are maintained. If you require the assistance of a company expert in providing the highest quality commercial roofing Poole has seen, don’t hesitate to get in touch with a member of the team today.